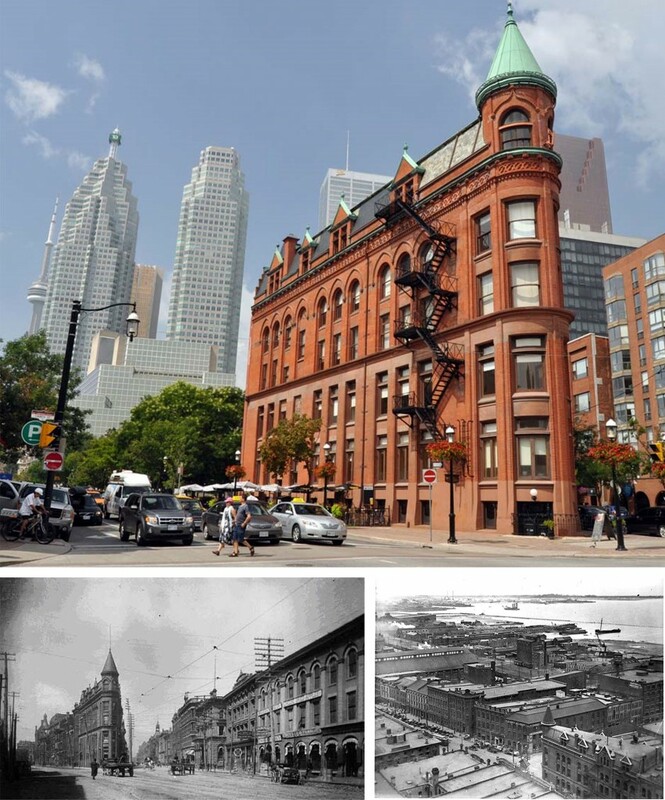 Commonly known as the ‘Flatiron Building’ the red brick Gooderham Building is one of Toronto’s most recognized historic buildings. Built in 1892 by George Gooderham at a cost of $18,000 the building originally housed the head offices of Gooderham & Worts Distillery until 1952. The property was sold by the Gooderham estate in 1957. The building was declared a historic site under the Ontario Heritage act in 1975 and restored in 1998. The Commercial Realty Group recently acquired the Flatiron building and will continue to maintain as well as update it to accommodate modern amenities.